Stardiamond Says Goodbye to Sin City! 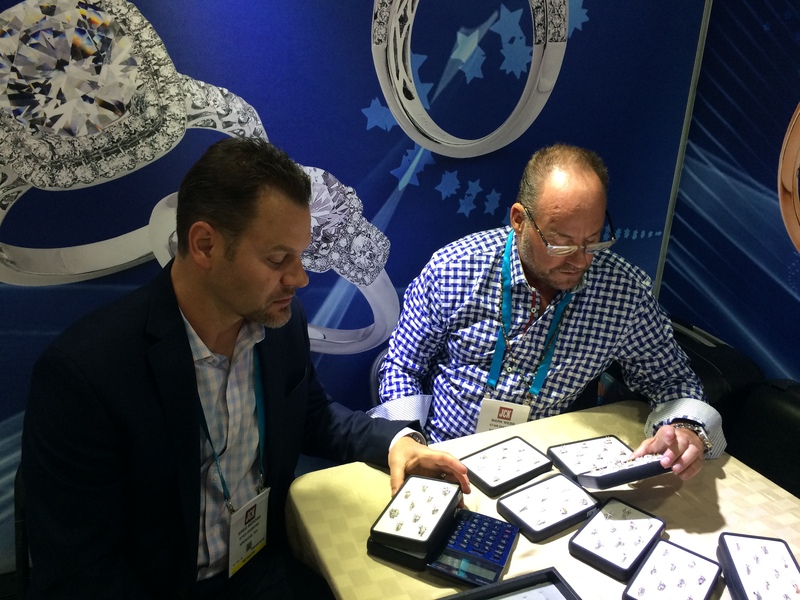 Four days in the city that never sleep, and Stardiamond Co-Founders Mark Webb and Greg Berdan have survived the Jeweler’s Circle Keystone Show, one of the biggest and brightest shows in the diamond business! Mark and Greg were just two of more than 20,000 industry insiders who flocked to the Mandalay Bay Convention Center to bask in sparkle of acres of diamonds, gems and other precious jewelry. The show was resplendent with the biggest names in jewelry…and baseball! 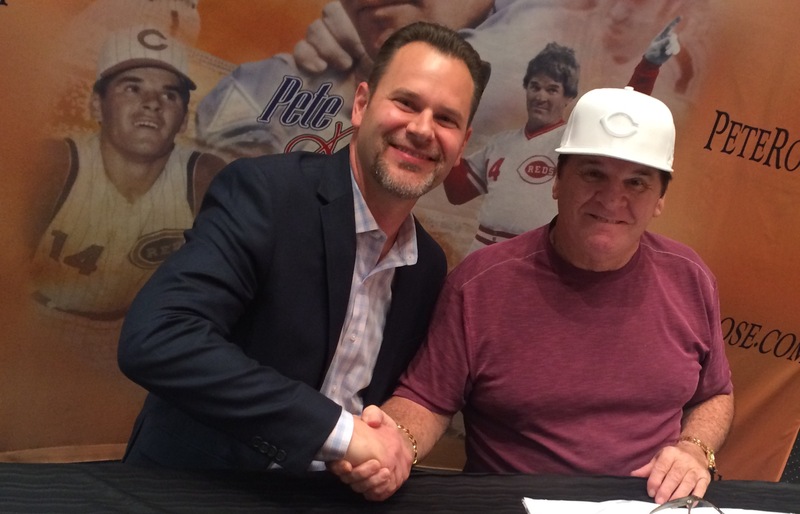 Greg got to meet the legendary Pete Rose himself. But Greg and Mark were there to play in a different kind of game. With so many innovators and cutting edge trends under one roof, the show was the perfect opportunity not only to spread the word about the unique virtues of Stardiamond, but to take a peek at all the possibilities coming just around the corner for the jewelry industry. Thank you, Las Vegas! We’ll see you next time, at the JCK Show, 2017! Author StardiamondPosted on June 28, 2016 May 31, 2017 Categories blog, Diamond, JCK Las Vegas, JewelryTags diamonds, fancy diamond cuts, JCK Show, JCK Vegas, Las Vegas, Star Diamond, Stardiamond, wedding jewelry, wedding ringsLeave a comment on Stardiamond Says Goodbye to Sin City! Stardiamond Heads to JCK Las Vegas! The founders of Stardiamond are packing their bags, printing their tickets, and heading to Sin City for some clean cut fun at the leading jewelry event in North America. The JCK show is an unparalleled industry event, bringing together more than 26,000 jewelers, designers, retailers and experts for buying, networking and educational opportunities. **While show attendance is by strict approval and invitation only, you can keep up on show news and updates by following Stardiamond’s social channels! Author StardiamondPosted on May 24, 2016 May 31, 2017 Categories blog, Diamond, JCK Las Vegas, JewelryTags diamonds, fancy diamond cuts, JCK Show, JCK Vegas, Las Vegas, StardiamondLeave a comment on Stardiamond Heads to JCK Las Vegas!